I ypical of thicket-dwelling kingfishers, this bird is stoutly built, with a shorter and blunter bill than those of plunge-diving species. 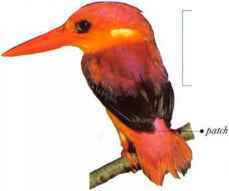 It lives in forests bordering open country, also occurring in mature secondary forest (where trees have rcgrown after forest clearance) and in mangrove swamps. Watching from a perch, it swoops down to take insects and other small creatures. It will occasionally dive for fish. The usual call is a far-carrying scries of 7-10 slow, plaintive whistling notes, falling in pitch and volume. • NliST An unlined cavity, bored in the side of a tree-termite nest. • Dis tribution bright blue Tropical W. Africa. 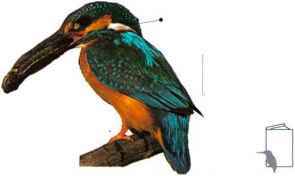 Small and active, this kingfisher hunts along streams and on the banks of rivers and lakes. It moves in fast, direct flight, revealing a bright blue rump patch. Watching from a perch, it plunges into the water to take small fish or crustaceans, returning to the perch to swallow them. It has a short, shrill call. • DISTRIBUTION Eurasia and N. Africa east to Japan and south to Indonesia and S.W. 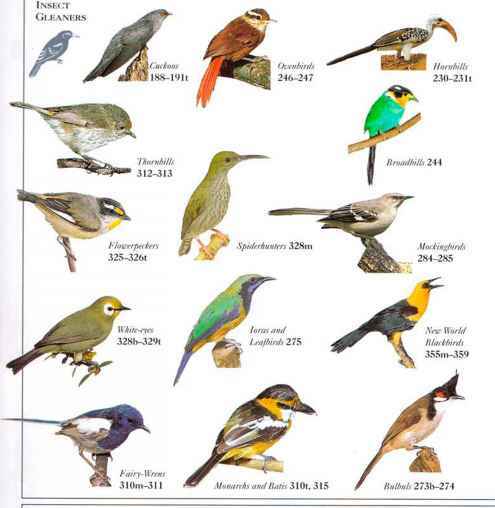 Pacific; northern birds migrate south within this range.